Hi friends! My name is Charlie and I am everyone’s favorite lap kitty! I live in the Pixie cattery, where I get to meet new friends every day! Being that I’m 10 years old, I spend a lot of time lounging around and being super mellow. When people come in to see me, I quickly jump up on the bench and wait for you to sit down so I could take over your lap! I’ve lived with other kitties — including rambunctious kittens — and nothing seems to phase me. The Pixie cattery gets a lot of visitors of all ages, and I love them all! Kids, dogs, cats — whatever you throw at me, I always respond with my super gentle demeanor and sweet purr. I’ve quickly become a favorite around here, and I think it’s pretty cool, but I’m still waiting to find my forever home. 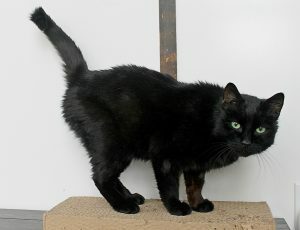 Are you looking for a lap snuggler like me to fill your heart with kitty companionship? Fill out an application and come down to Pixie to meet me today! 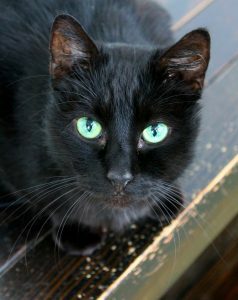 I come to you neutered, vaccinated, micro-chipped, and with a recent dental already done for an adoption fee of $80.